It was a privilege for me to see PJ Powers in concert at South Africa House. 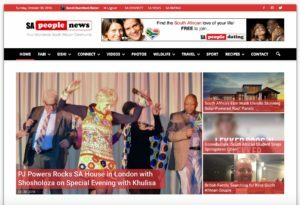 It was a concert with a difference and more of a launch as PJ Powers was there as the international ambassador for the Khulisa Global Mentorship charity. PJ Powers, a South African music legend, told some of her own story and introduced the UK audience to the founders of Khulisa. She encouraged expats to get involved in the Khulisa mentorship programme. This was all done through song and personal anecdotes. People got up and sang and danced and had a bit of a South African party in the centre of London. PJ Powers was on form! To contact me here for freelance writing.